ELECTRONICS GURUKULAM: How GPS Works? The Global Positioning System (GPS) is a location system based on a constellation of about 24 satellites orbiting the earth at altitudes of approximately 11,000 miles. 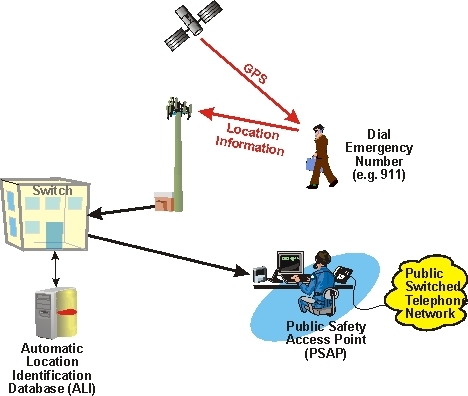 GPS was developed by the United States Department of Defense (DOD), for its tremendous application as a military locating utility. The DOD's investment in GPS is immense. Billions and billions of dollars have been invested in creating this technology for military uses. However, over the past several years, GPS has proven to be a useful tool in non-military mapping applications as well. GPS satellites are orbited high enough to avoid the problems associated with land based systems, yet can provide accurate positioning 24 hours a day, anywhere in the world. Uncorrected positions determined from GPS satellite signals produce accuracies in the range of 50 to 100 meters. When using a technique called differential correction, users can get positions accurate to within 5 meters or less. Today, many industries are leveraging off the DOD's massive undertaking. As GPS units are becoming smaller and less expensive, there are an expanding number of applications for GPS. In transportation applications, GPS assists pilots and drivers in pinpointing their locations and avoiding collisions. Farmers can use GPS to guide equipment and control accurate distribution of fertilizers and other chemicals. Recreation ally, GPS is used for providing accurate locations and as a navigation tool for hikers, hunters and boaters. 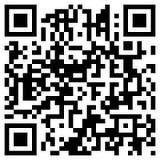 Scan this Code using your Phone to view this page. What is meant by GURUKULAM? What is Phase, Neutral and Earth? Why Silicon is preferred over Germanium for Semiconductor Devices? What is the difference between Microcontroller and Microprocessor? A commonly asked question! Why we go for Digital? What are Digital Signal Processors? What is Clock Skew and Jitter? What do you meant by earthing? Why transformer ratings are in KVA? What is difference between fuse and breaker? Why DC series motor should be started with load? Can we give DC supply to a Transformer? Actually, what is this Virtual Ground concept? How The Google Search Engine Works? A great collection videos and web materials for the Undergraduate and Post Graduate level Electronics students are available from the NPTEL Website. The classes are taken by great professors from various IITs and IISc. Please CLICK HERE to go the NPTEL E-Learning Website. If you know the art of explaining the basic concepts of electronics using some illustrations, we welcome you to write in this Blog. We will provide your Bio above the post with the link to your Blog/Website. If you are interested, send your E-mail ID and details in the Feed Back form given at the Bottom. Please mention your E-mail in "Message"Save also. If a picture is worth 1024 words, how many words if it moves? This is a group effort of some students, who think that there is something outside our syllabus and classroom teachings. Electronics is a subject of imagination. Our generation need something more than that of the Black Board teaching. That doesn't mean that we know everything. Thank you very much for visiting our Blog. Please follow our blog to get E-mail updates. Wishing you all the best!! Do you want to see more posts?? Please click on the "Older Posts" tab to go to the older posts. "The Only True Teacher is he/she who can immediately come down to the level of the student, and transfer his/her soul to the students soul and see through and understand through his/her mind. Such a teacher can really teach none else." Copy right not protected. Theme images by enot-poloskun. Powered by Blogger.